*Banner image was created by Niden, all credit is reserved to the original artist. CX7-70 system, Cloud Ring region. On the 24th of February at 20:00 EVE Standard Time, Imperium forces clashed with a loose coalition of alliances in the system over a tower. The tower in question belonged to the Imperium and was reinforced by Suddenly Spaceships. [CYN0] in order to provoke a fight. Though initially it seemed as though the Imperium was going to abandon the moon, as the tower neared the end of its invulnerability cycle, Imperium forces quickly gathered, forming initially a 100 pilot Machariel battleship fleet. As this force moved towards the system, other entities responded as 3 hostile fleets formed in order to oppose the Imperium: A 94 pilot Northern Coalition. [NC] Proteus strategic cruiser fleet, an estimated 50 pilot joint Snuffed Out [B B C]\ Project.Mayhem. [16-13] Cerberus heavy assault cruiser fleet and a similar but smaller Suddenly Spaceships 26 pilot Cerberus fleet. Therabois supplied a stealth bomber wing as well. These fleets converged on the system, with the Cerberus fleets managing to arrive before the bulk of the Imperium forces, and the Proteus fleet entering just as the Imperium’s Machariel fleet did. All these fleets warped to the tower, with the Proteus fleet engaging the Machariel fleet and starting the battle proper. The two fleets maneuvered around each other, the nimbler strategic cruisers closing the distance and firing at the Machariels as the Cerberus fleets burnt into positions, kiting at long distance while firing swarms of missiles at the battleships. Imperium forces concentrated on the Proteus fleet, and for a while managed to tank the incoming damage, losing mainly tackle and support ships. The Proteus fleet was able to tank the incoming damage as well, and seeing as the Machariels managed to soak up the incoming fire, switched to the logistics wing of the fleet. The Cerberus fleets did the same, and the Imperium’s logistics wing soon came under heavy fire as the three fleets hammered at it constantly. Things did not improve when a large chunk of the Machariel fleet was teleported away from the logistics wing by allied command destroyers, leaving the logistics wing exposed. With so much split damage, the Guardian and Oneiros logistics cruisers soon gave in, and one after the other were destroyed, putting the Imperium force at a disadvantage. This was further aggravated by the Therabois’ stealth bomber wing, which kept bombing the Machariels, dropping both electron and void bombs which quickly drained the energy of the battleships, leaving them defenseless. The constant bombing runs overwhelmed the Imperium’s logistics wing which was already under immense pressure due to the hostile fleets’ bombardment. Simply put, the logistics wing of the Imperium ceased to function as confusion settled in. The coalition fleets quickly took advantage of the situation to target the now vulnerable battleships. In rapid succession, Imperium mainline ships simply evaporated in the face of the combined might of the allied fleets, leading to mounting losses. In order to avert catastrophe, Imperium forces quickly lit a cynosural beacon and brought in 5 triage carriers in order to cover for its failing logistics wing. However, the allies were ready for it, with Suddenly Spaceships. having prepared a small capital force in the system beforehand for just that scenario. As the carriers hit the grid, 10 dreadnoughts simply warped in near the Imperium force and started targeting them. One by one, triage carriers were felled by the dreadnoughts while the sub-cap fleets continued to fight, the Imperium’s Machariel fleet continuing to lose ships, unable to stabilize. 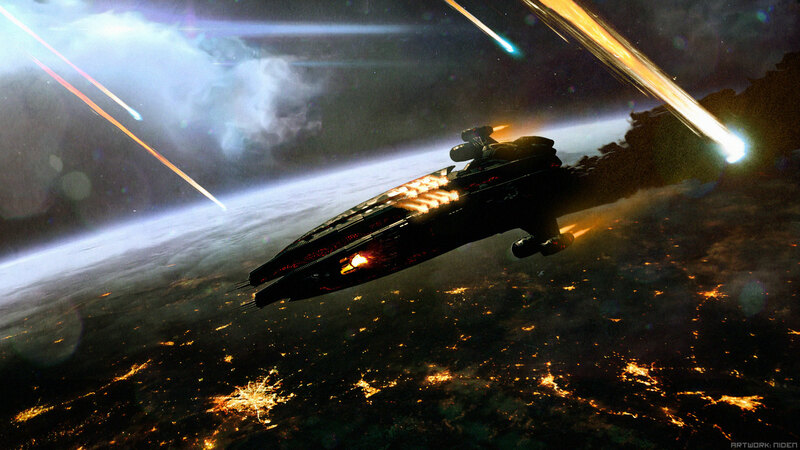 Desperate, Imperium fleet commanders had no other choice but to further escalate, or risk total annihilation. Thus, 60 Imperium supercarriers were brought to the field. With the supercarriers present, it was apparent for all involved that the fight had ended. Thus, the allies prepared to leave the field, taking a few parting shots at the Machariel fleet before extracting. The Imperium itself concentrated on the dreadnoughts and the Proteus fleet, though the battered Machariels seemed to have had no desire to chase the Proteus fleet, instead preferring to remain under the protective umbrella of the super capital fleet. Thus, the allies were able to quickly warp out and extract, sustaining minimal losses in the process while the Imperium claimed the field, managing to save the tower as well. This brought the battle to an end. Battle report for the CX7-70 system can be found here. All told the battle lasted 30 minutes with Time Dilation not present at first, though getting worse near the end and reaching nearly 30% at one point. The system itself hosted less than 400 pilots at the peak of the fighting. Imperium forces suffered the brunt of the losses – 97 ships in total including 5 carriers and 45 battleships for 53.82 billion ISK damage. The allied fleets lost 22 ships, including 10 dreadnoughts, 1 carrier and 1 strategic cruiser for a total of 42.32 billion ISK damage.